I've finally #FoundMyTrueMatch! 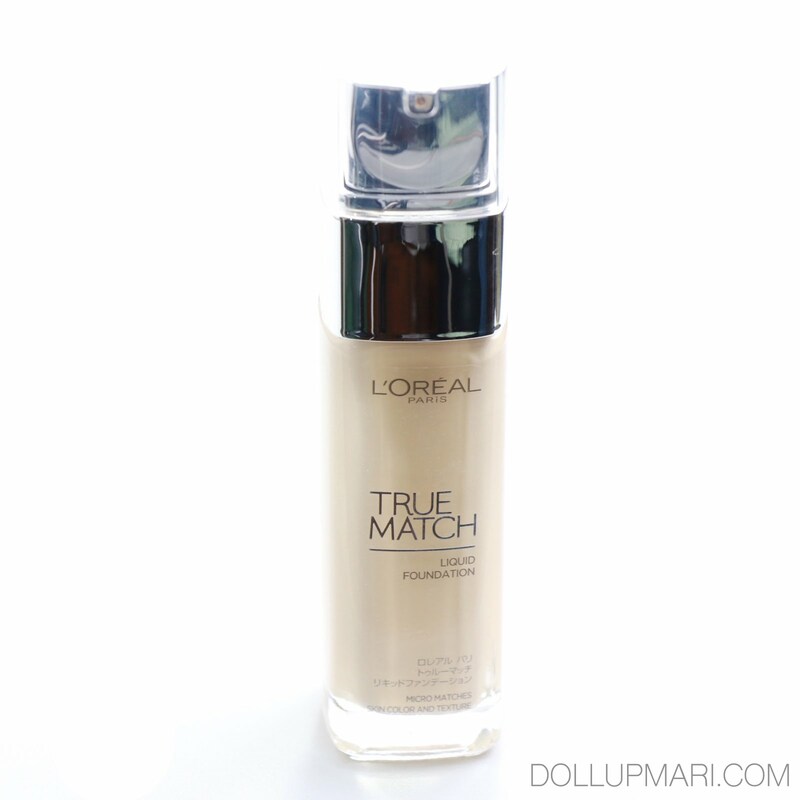 I think you've seen my blog post about the True Match event recently, and the True Match issue they gave us, but now is my time to review the product. I am really excited to be talking to you guys about this because I am sure that there are shades for all Pinays out there. 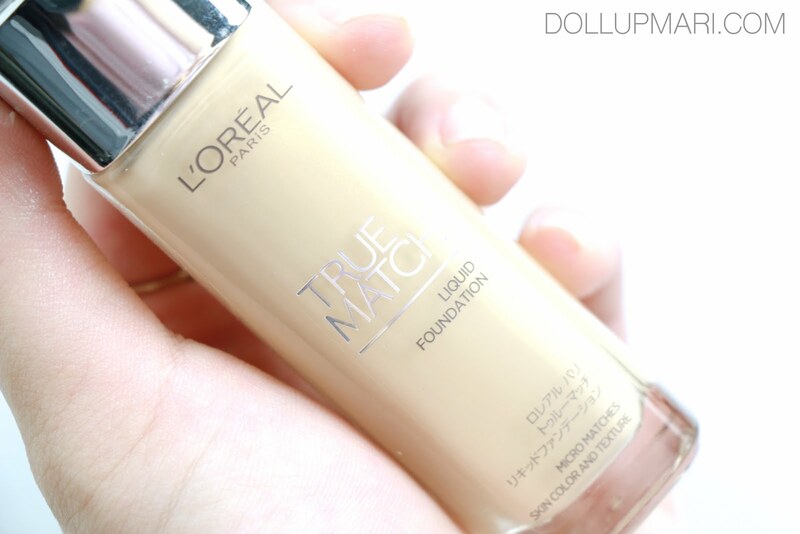 This is the foundation bottle. 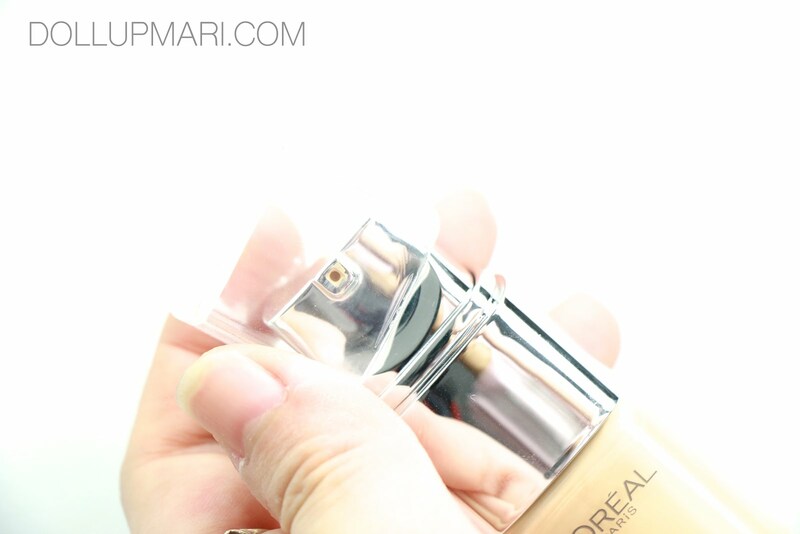 It's "normal" sized, as in it's the usual size you'd expect a foundation bottle to have. It's 30mL. But an exciting feature about this, though, is that compared to its predecessor, it now comes with a pump. For the concerned people out there, here are the ingredients. 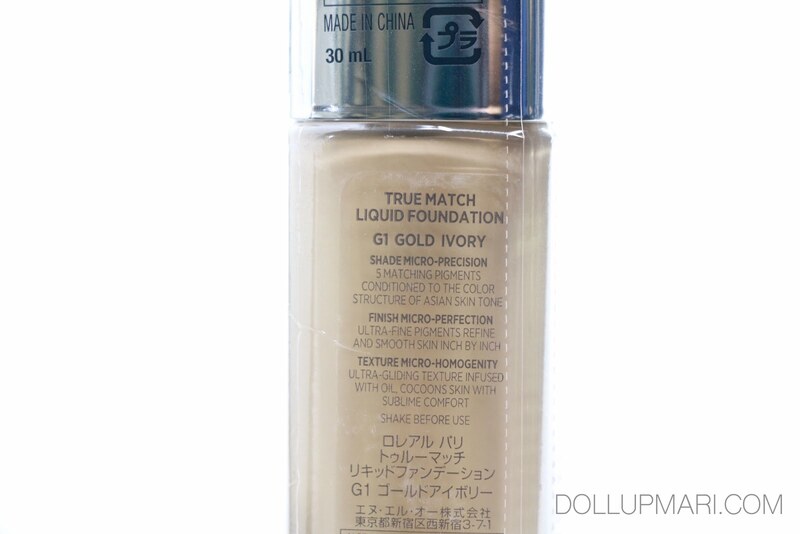 The shade I got (which was determined by no less than the great Verna Marin for me during the event) is G1, or Gold Ivory. 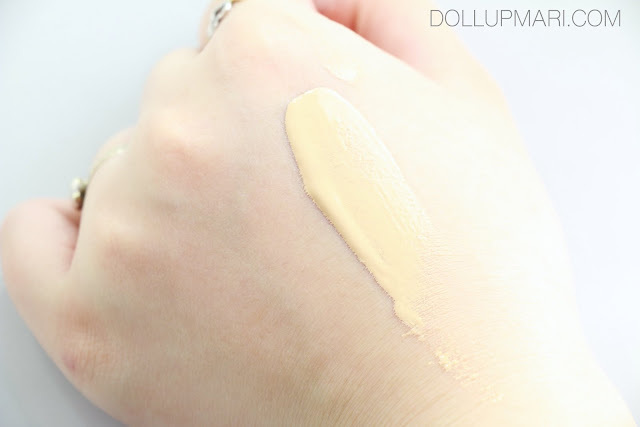 This is the lightest among all the yellow toned shades. The best part about this is that they also have shades with pinkish and neutral undertones, so everyone is bound to find their match. I think I've reiterated this enough in my previous posts, but I wanna say it again that foundation goes beyond just lightness and darkness of shades. We come with different undertones, which is why we need foundations that match not only the shade of our skin (as in the lightness and darkness), but also the hue of our skin (as in the undertones). The product comes with a thin plastic cap. Care must be taken when dispensing the product because if the bottle is not tilted 180 degrees, the foundation gets to the areas beside the nozzle. This product promises three things: shade micro-precision, finish micro-perfection, and texture micro-homogeneity. Shade micro-precision is because they have 5 matching pigments conditioned to the color structure of Asian skintones. 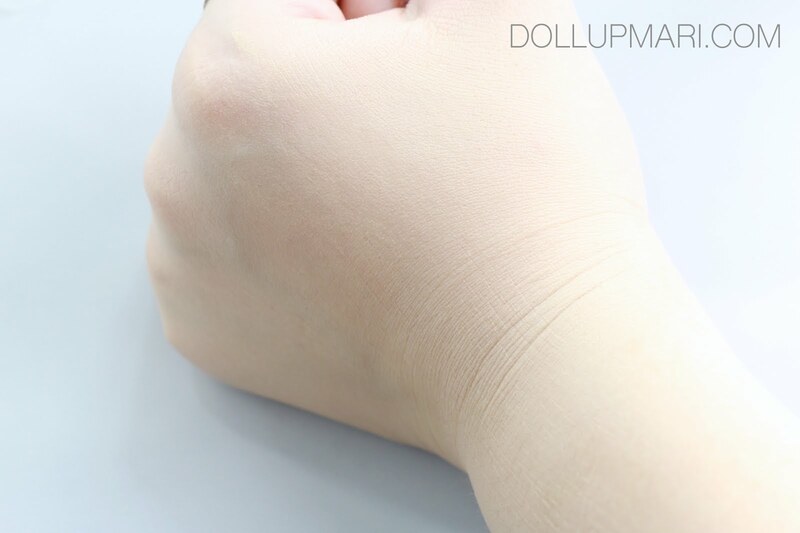 Finish micro-perfection is because there are ultra-fine pigments that refine and smooth skin inch by inch. Texture micro-homogeneity is brought about by its ultra-gliding texture infused with oil that cocoons skin with sublime comfort. As for the texture, it's another amusing thing. The moment the product gets out of the bottle, it's really runny. And while you're applying it onto the skin, it's emollient and spreads very fast and very well. But when you leave it in for a few minutes, the foundation sets, and when it does, you can't smudge it anymore. The downside is that you have to blend this in as soon as you apply it onto your face. BUT, the best part is that once it sets, it doesn't budge, and it really stays put no matter what you go through throughout the day. 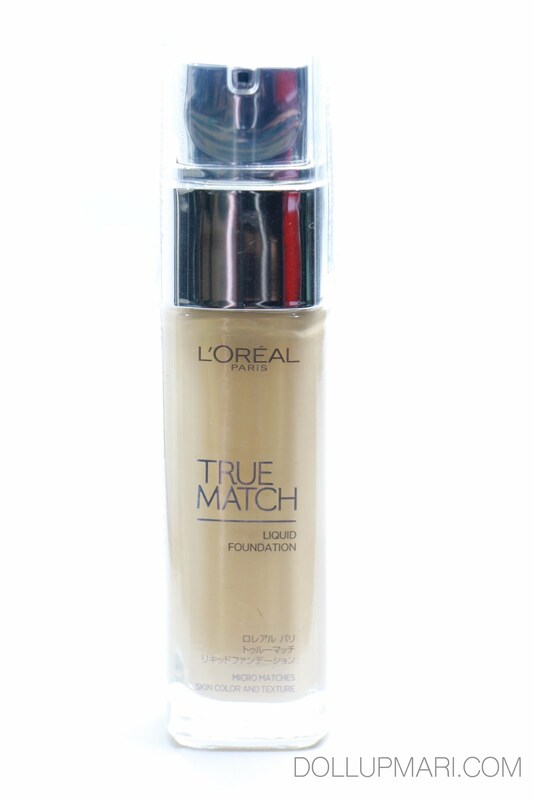 I really appreciated this feature because I've always experienced my foundations stay put all day. But like they stay put because they're so thick, not because they really did set onto my skin. This is why like at the end of the day I'd still have foundation on, but like there are already mini swirls and smudges and foundation-less spots on my face. With this one, it lasts all day without moving. I don't have "bald patches" on my face at the end of the day. The coverage is not very opaque (I still need concealer for my dark circles), but at least it applies evenly and stays evenly all day. 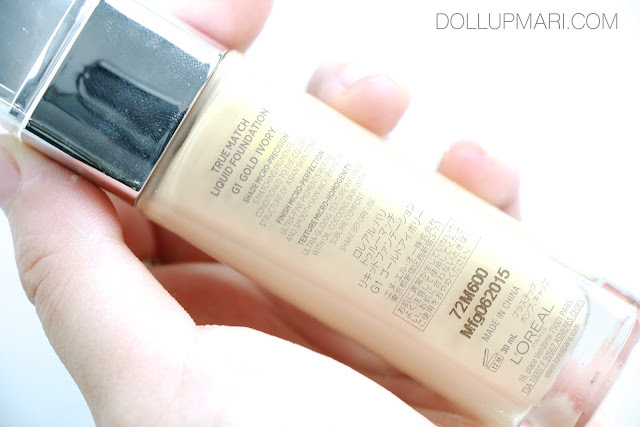 And my skin looks really creamy and dreamy with this product. 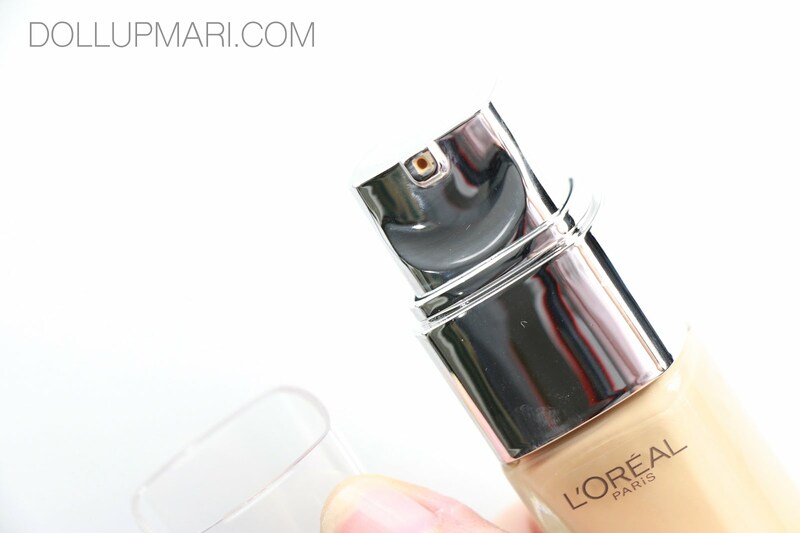 In terms of wear, I find this comfortable because it's more flexible than the previous formula. I liked this formulation because it feels moist on the skin and you don't feel like your face is dried out or unflexible. I was able to wear it the whole day without feeling like my face was stretched out, and I was able to make it last for most of the day, too, despite going through a normal schoolday. 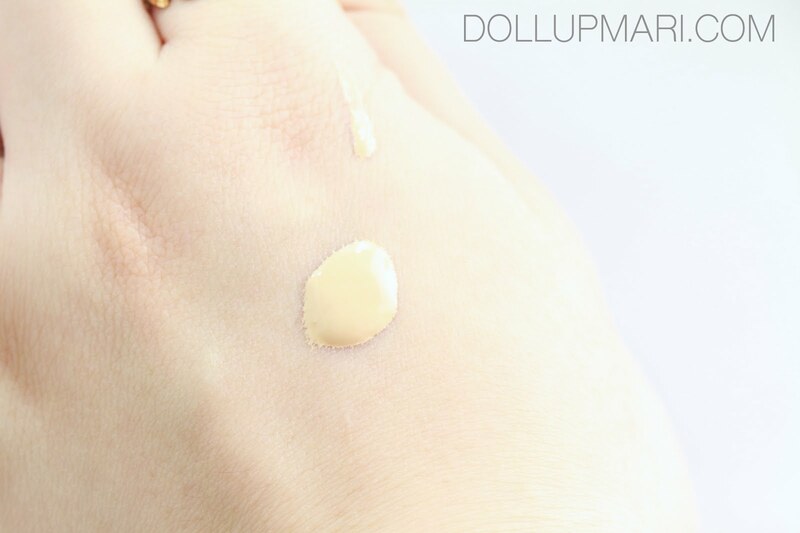 I was initially worried that since it's SPF32, and that it has gold microshimmer, I was worried that I'd have a white cast under flash photography. But amusingly, it didn't. While I cannot guarantee how this will fare if you will have 10 or more photographers use flash photography on you (yes the white cast effect strengthens with the more flash bulbs there are), as far as 1 camera with flash is concerned, it doesn't pose any problems. And can I just express how happy I am that it comes in the perfectly matching shade and undertone? 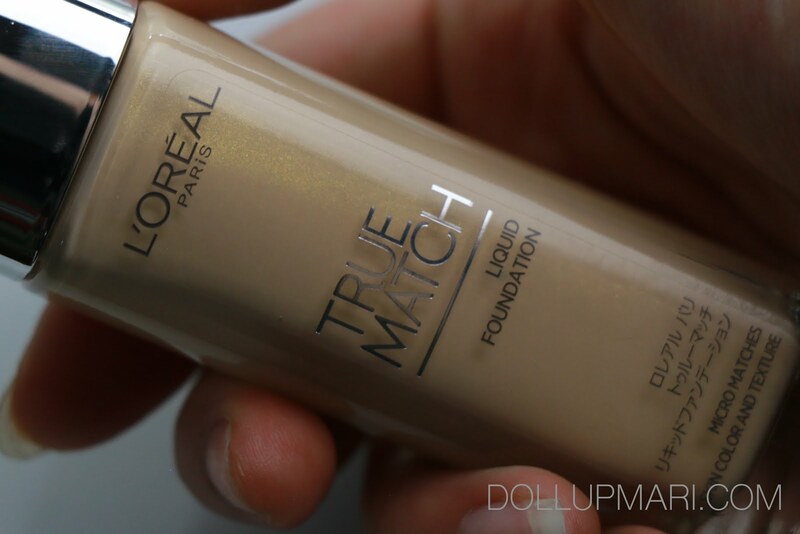 I don't always find my foundation shades in brands here, either because they don't bring in my shade, or because the undertones are too gray or too brownish red. 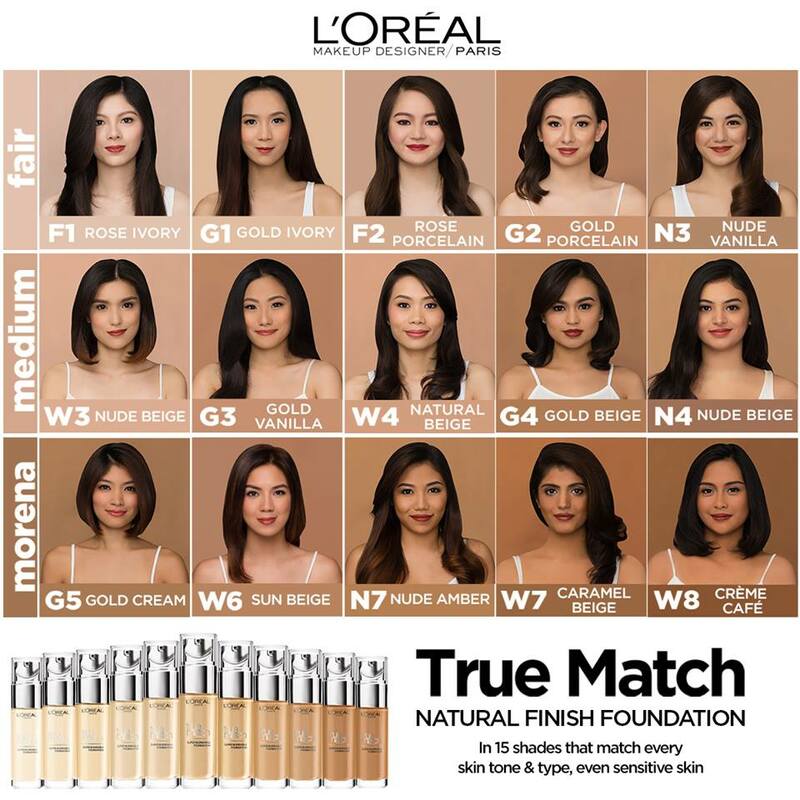 This is available in L'Oréal counters nationwide at Php600 a bottle. Get yours today. Would you recommend it for oily skin?